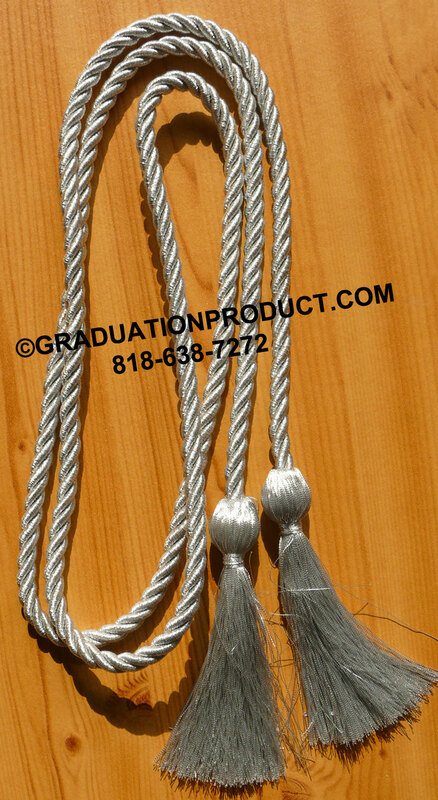 Customer Reviews on "Metallic Silver Graduation Honor Cords"
Well made cords, tassels are tight and look sharp. Delivered on time! Looks great! Great price. I received the Honor cord in one day. If your looking for quality, this is a great buy! Write you own review on "Metallic Silver Graduation Honor Cords"